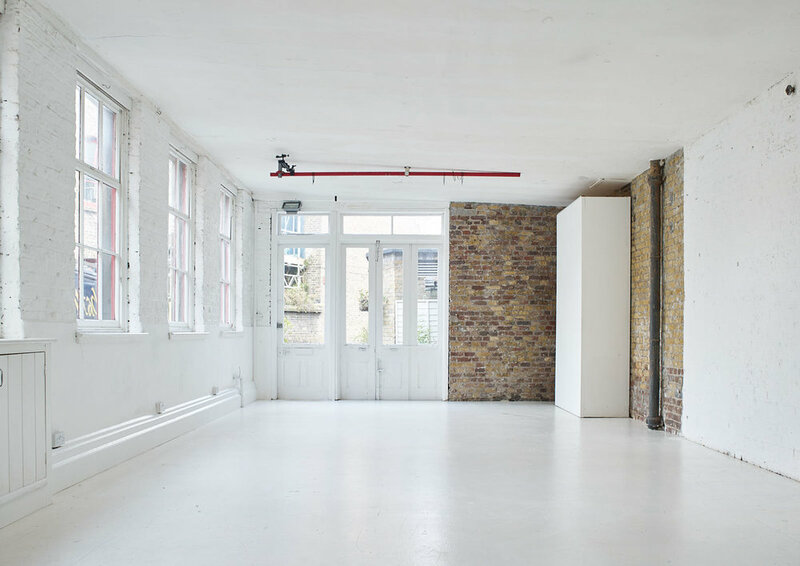 612 sqare feet (57 sq m) of daylight or black studio space for hire. 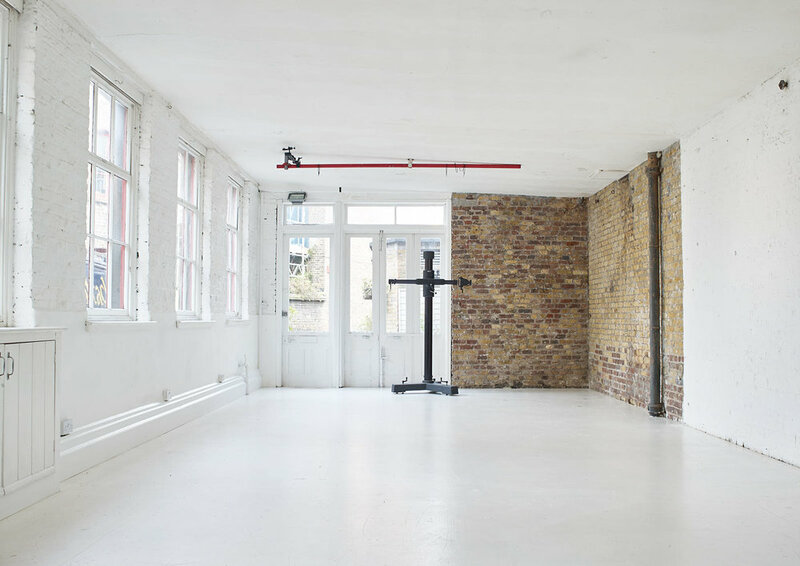 Primarily a photographic studio but also used for film, gallery, presentation, casting etc. 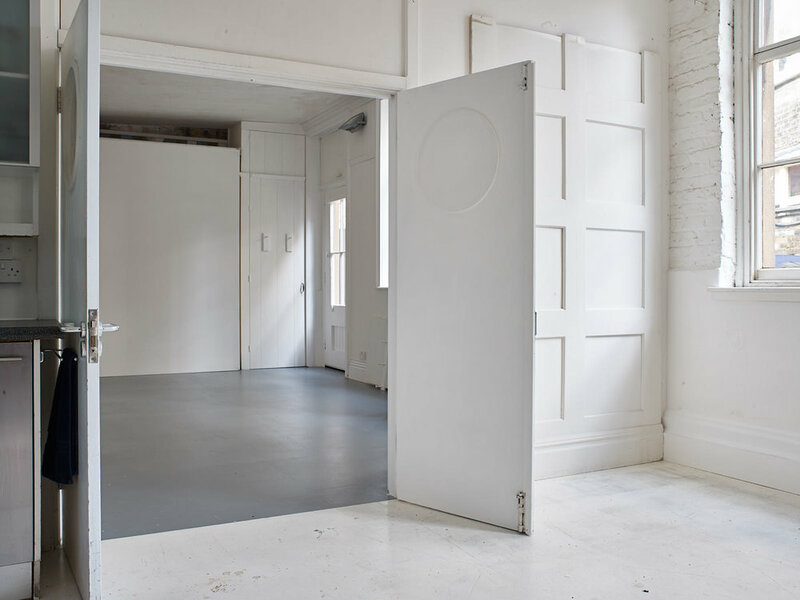 Ground floor, drive up to, 8' tall, double door access. 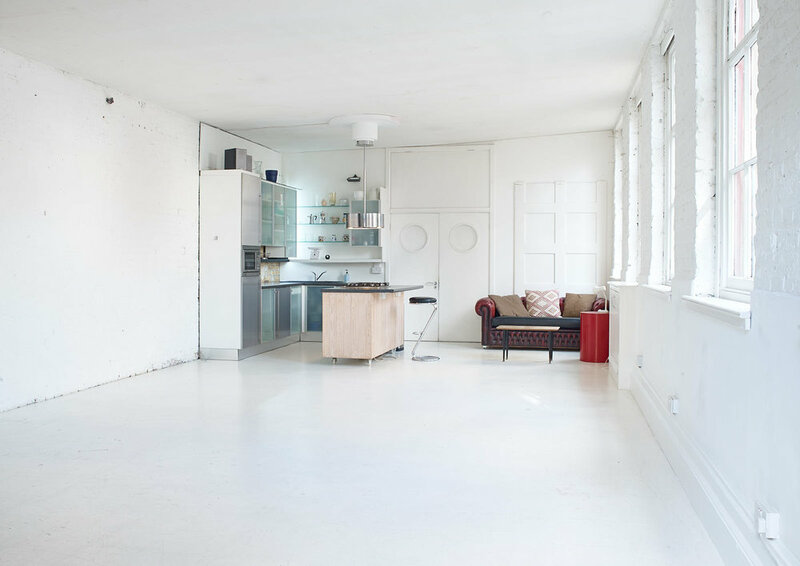 Includes fully fitted kitchen for food shoots or shoot catering. 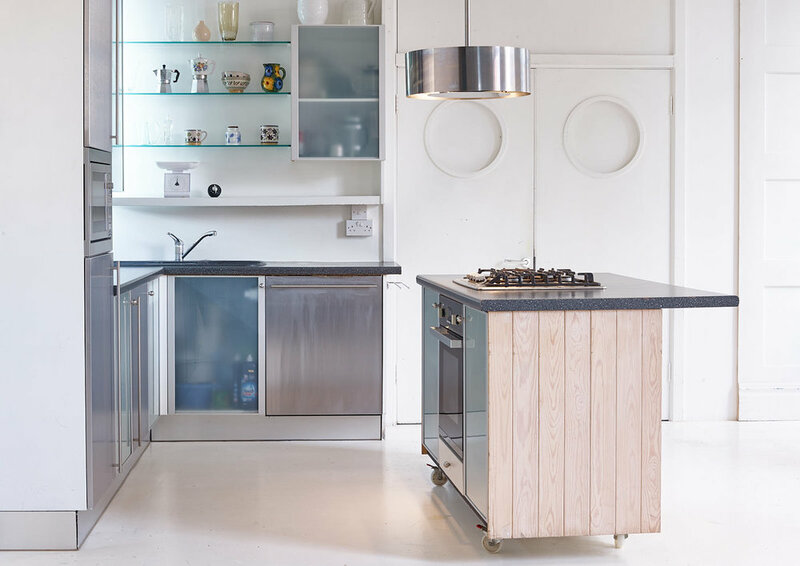 A moveable cooking station consisting of fan oven and (bottled) gas hob can be positioned anywhere in the studio or removed entirely. 7' Cambo Stand, Pollyboards and stands, an assortment of tables, chairs, stools, hight adjustable trestles and backgrounds. Some of these shots have been taken with cooking station and cooker hood removed. The studio has a fully fitted kitchen including single fan oven, four ring (bottled) gas hob with wok support, microwave oven, under-counter fridge, 40l mini freezer, toaster, kettle, coffee filter machine, food mixer, juicer, blender, grinder, scales, assorted pots and pans, cooking utensils, chopping boards, glasses, crockery and cutlery. More chairs, tables, a second single fan oven and a tall larder fridge are available upon request.